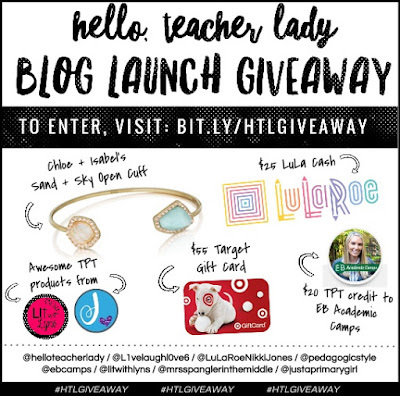 I'm super excited to be celebrating with Shana from Hello, Teacher Lady, as she launches her new blog! 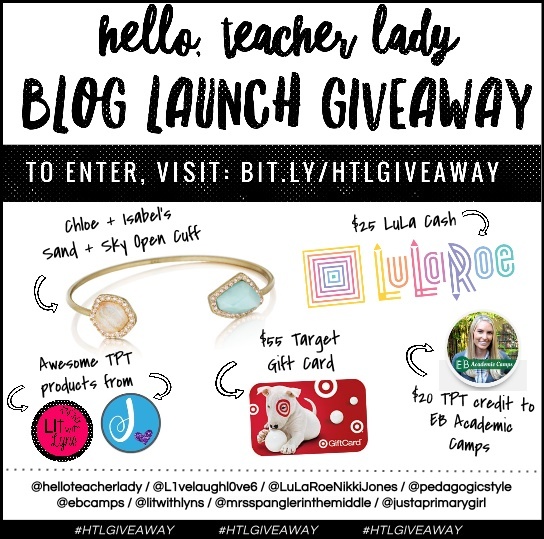 Several teacher-sellers have contributed awesome products, along with other amazing items: Chloe + Isabel's Sand + Sky Open Cuff bracelet, $25 in Lula cash, $20 in TPT credit to EB Academic Camps, and a $55 Target gift card! To enter, visit: bit.ly/htlgiveaway!